IT’S A FEELING that probably resonates with most of us; as kids, relishing those long, school summer holidays stretching out in front, safe in the knowledge that with each seemingly endless day came the freedom to explore and make new discoveries with friends. Entitling this new album The Day I Had Everything, saxophonist Mark Lockheart expresses that same kind of excitement in a working environment with equally adroit colleagues, Jasper Høiby (double bass) and Liam Noble (piano). “The sheer excitement one has as a child getting up in the morning and not being able to decide what to do first” is Lockheart’s parallel to the process of pooling their own, original compositions and the pleasure of developing and recording them in the studio; and whilst their perhaps African-sounding trio name is nothing more than a connecting of forenames, it clearly reinforces their unalloyed musical cohesion and friendship (first collaborating on Mark Lockheart’s impressive 2009 album In Deep). 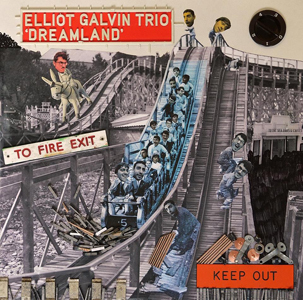 What becomes fascinating across these 56 minutes is that each of the three players’ contributions are often stamped with their recognisable, individual characters, whilst also possessing an openness and eclecticism which continually delights. Malija’s realm is far away from a standards trio, and the element of surprise remains strong throughout, as does the group’s flawless musicality and invention… frequently flecked with coltish exuberance and tangible mischievousness. Enter at any point in this 11-track release and there is soon the realisation of both depth and warmth in the unfolding artistry. The eccentric folksiness of Lockheart’s opener, Squared, might easily have its roots in Dave Brubeck’s Unsquare Dance as his signature full tenor voice weaves around jaunty piano and bass grooving, plus an ever-present tinge of the unexpected; and intricately-constructed Mr Wrack (after Noble’s technical drawing teacher) anarchically bursts into a Beach Boys-style piano riff, increasingly swelled by the Ligeti Quartet’s chattering grandeur and Lockheart’s wonderfully disorderly screeching. Jasper Høiby’s occasionally-tripped-up walking-5/4 Unknown is quietly cheerful, with a cross-pollination of phrases and subtle horn / bass clarinet layering underpinning flighty soprano sax, whilst The Pianist shunts and grunges to Noble’s bass fifths and bluesy ornamentation in tandem with brash, almost cackling tenor (and so deeply satisfying!). 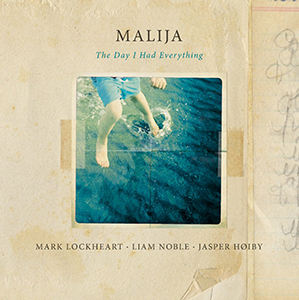 Høiby’s bass harmonics (redolent of his Phronesis) and the added complexity of modal, out-of-body riffs from Noble and Lockheart’s soprano tee-up the pianist’s Wheels, happily jarring the senses before finding a more freewheeling clear road ahead; and the bassist’s shadowy title track Malija (with such a memorable, searching melody) seems to reference his work with Kairos 4tet – an exquisite, richly-tenored wellspring of beauty. 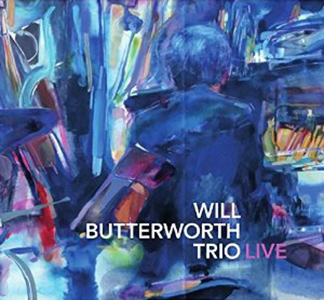 Almost a Tango is typically Mark Lockheart, full of shifting dance rhythms, textures and moods (not unlike the writing on his acclaimed release Ellington in Anticipation), all three players seeming to wallow in its quirky splendour. An echoic, slowly-oscillating piano-and-bass motif in Liam Noble’s miniature, Blues, melds superbly with breathy tenor (Polar Bear minus electronics? ); then the saxophonist’s charming, breezy One For Us emerges like a beloved classic at the end of a set, and could easily invite a delicate vocal from Cleo Laine or Norma Winstone. Wayne’s World – Høiby’s tribute to Wayne Shorter, with his sinewy bass encircling the whole piece – gives free rein to Noble and Lockheart to improvise more abstractedly and, in the detail, still more deliciously, Then, closing anthemically yet mysteriously, and integrating the Ligeti’s strings, Mark Lockheart’s With One Voice feels imbued with the spirits of both Michael Tippett and Joe Zawinul, its poignancy filled once again with the tenorist’s unmistakable, luxurious tones. Listening now, and in musical and emotional terms… this feels like I have everything. 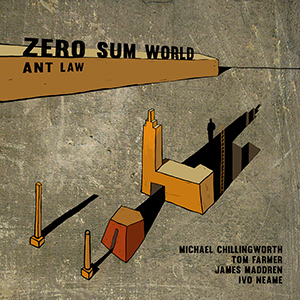 Released on 27 November 2015 – available as CD, download and 12″ vinyl at Edition Records’ Bandcamp store.